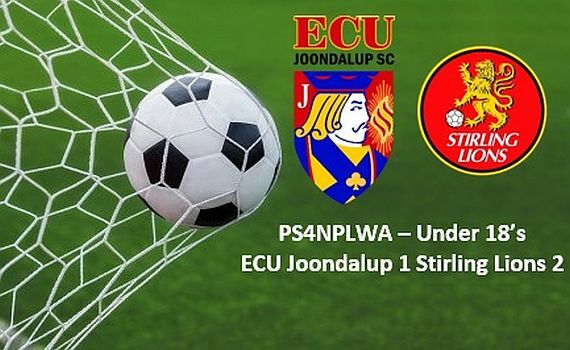 ECU Joondalup under 18’s have been beaten 2-1 by Stirling Lions in hot conditions at the ECU Football Stadium on Friday night. The Jacks made a great start and hit the front after Mubashir Sheik-Adba was brought down in the penalty area and Kieron Craig converted the resulting penalty. It could have been two or three as the rampant Jacks continued to press, but they weren’t clinical enough in front of goal. But they fell asleep at a corner on the half hour and the Lions equalised. It was an entertaining game and the Jacks went close to regaining their lead after Chris Ciobanu went one-on-one with the keeper, who saved well. It was ECU who looked like winning it and Craig saw his shot crash off the post, but against the run of play Stirling won it with a quick counter attack and a well finished goal. The youngsters pressed late looking for the equaliser but it was all in vain and the Lions ran our 2-1 winners. Coach Dean Pickering said it was hard to take conceding so late. “It was a tough match for the boys and a hard result to swallow after having plenty of possession and chances,” he said. “Football is a cruel game at times and we certainly found that out as Stirling scored in the last two minutes to win the game from a quick counter attack.